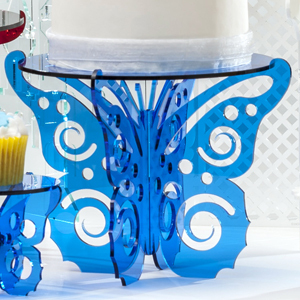 Our Mammoth Flutter-by Cake Stand is the largest butterfly from the Flutter-by collection. 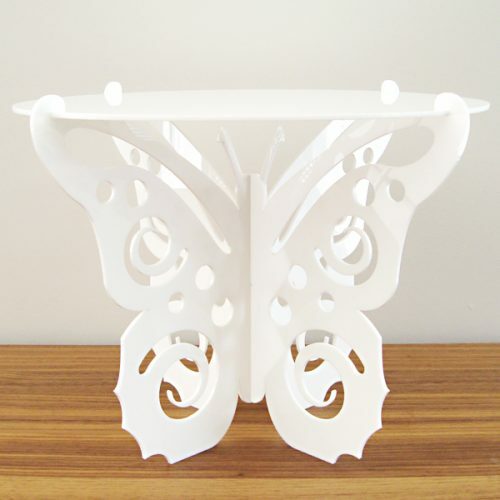 Perfect for clustering cupcakes or alternatively a light weight 10 inch cake. 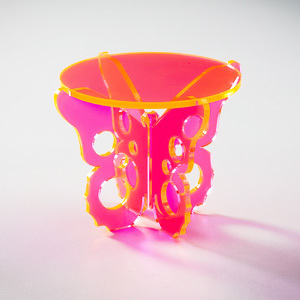 Available in 15 of gorgeous acrylic colours with a clear plate. 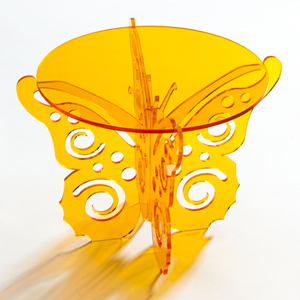 33cm wide x 25cm high.